Calving ease and maternal genetics from his legendary sire, Domino 3027 with added growth and performance. 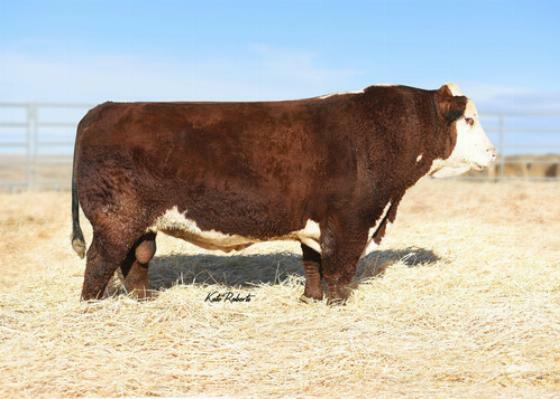 His dam has established herself as one of the most impressive and productive donors in the hereford breed today. Progeny are incredibly consistent-good patterned,deep bodied,and the daughters are exactly what you expect.